You are here: Home » Lindenbaum Center » Categories » Orach Chaim » Is Swimming for Pleasure Permitted on Shabbat? It is forbidden to boat or swim in the water on Shabbat, lest one come to make a flotation device and “go boating on the surface of the water.” This prohibition of swimming also applies to a swimming pool (the word, “b’rekha” here could also mean a pond, as opposed to a swimming “pool”) that is in the public thoroughfare, since when swimming and kicking, one could easily splash water out of the pool beyond four cubits (approximately 6-8 feet). It is similarly prohibited to swim in a pool in a private domain, since when the water is splashed out of the pool it resembles swimming in a river. 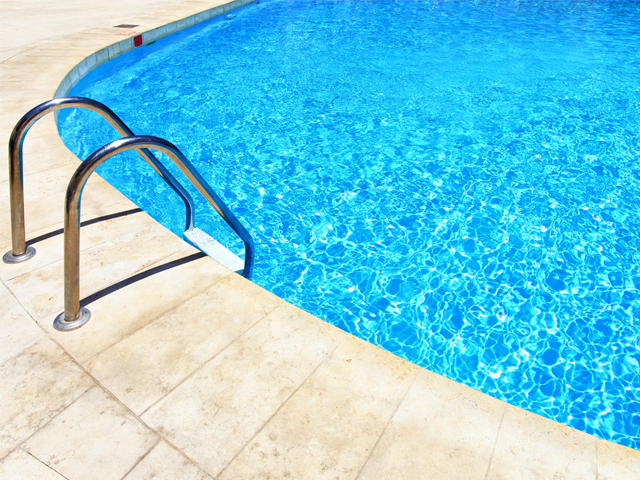 However, if this pool in the private domain has a lip (or border) that keeps the water contained even when splashed, then swimming is permitted. The “lip” frames the pool like a vessel [as opposed to a river], and therefore the prohibition [against swimming lest one make a flotation device] does not apply. Therefore, it would not be prohibited to swim on Shabbat [in such a pool] even out of the concern that one were exercising on Shabbat. And even though it is forbidden to swim in the ocean or in a river on Shabbat, in any event, bathing oneself in the ocean or in a river, without [actually] swimming is permitted. Nevertheless, it is appropriate to desist from bathing in the ocean on Shabbat, even when not actually swimming. R Ovadiah’s decision highlights several issues. There is a concern of hotza’ah, of sending droplets of water beyond a minimum distance in the public domain. He notes that this would not apply in the private domain, but one would still run up against the Rabbinic restriction of swimming in a river, lest one come to make a flotation device. However, when swimming in a pool this would not be an issue, since a swimming pool commonly has a “lip,” it is like bathing or swimming in a “vessel” (such as a bathtub), and does not fall under the restriction of swimming in a river (see Shulkhan Arukh, 339:2). Rav Ovadiah goes so far as to say, in that case, even “exercising,” normally forbidden since it resembles weekday activity, would be permitted, either because a person usually does not do this for the sake of exercise or, even if he is doing it for that purpose, this is not evident to others. This means that he permits even swimming laps in a pool in a private domain on Shabbat. Once Rav Ovadiah established that swimming in a pool with a lip in a private domain is permissible m’ikkar hadin, the Yalkut Yosef identifies and then dismisses a range of related concerns. These include: (a) squeezing water from one’s hair which is a rabbinic concern and therefore we do not forbid swimming based on the possibility of violating a rabbinic prohibition accidentally (b) pulling out hair, which will not necessarily happen and a person would not want to do it in any event (c) laundering one’s bathing suit or towel through soaking it in water, which is not a concern since laundering assumes that the garment is already soiled; in the case of swimming, the bathing suit and towel start out clean, and when one dries oneself, that actually soils the towel (d) squeezing water from the swimsuit, which is not enough of a concern, since bathing suits were made to become soaked people will not come to squeeze them out, and certain suits such as nylon suits, do not retain water. Rav Ovadiah’s ruling follows that of the Shulkhan Arukh, that it is permissible to immerse oneself completely on Shabbat in cold water, as well as in a river as long as one is careful to dry oneself off so that one does not “carry droplets” (tiltul) (SA 326:7). Rav Ovadiah concludes that although m’ikkar haDin swimming on Shabbat is permitted, one should refrain from the activity. R Ovadiah’s decision represents a Sephardic analysis of the halakha and clearly concludes with a preference that one not swim on Shabbat. The Ashkenazic position has a stronger foundation for prohibiting swimming on Shabbat, based on two teshuvot of Rabbi Israel Iserlein (Terumat haDeshen, 255-56). The Terumat haDeshen prohibits all bathing on Shabbat with the legal force of minhag that has remained in practice for Ashkenazic Jews since the 14th century (Magen Avraham 326:8, identifies the source of this minhag as the Maharil). The Terumat haDeshen, answering a question regarding a woman immersing herself in the mikveh on Shabbat, concludes that…the established practice now is that everyone desists from immersing oneself in water on Shabbat, even for the purpose of cooling off (i.e., pleasure), whether or not in a river or in a mikveh (Terumath haDeshen 255). The Maharil forms the foundation for an established minhag that has the legal force of halakha for Ashkenazic practice. Rav Ovadiah himself quotes many sources prohibiting swimming in the Ashkenazic tradition. In addition to Terumat haDeshen and Maharil, he lists Magen Avraham (OH 326:8), Hayye Adam (44:20), and Mishneh Berura (326:21). These Ashkenazic rabbis also weigh heavily the concerns mentioned above of squeezing water from the hair and garments. The Arukh haShulkhan also holds this position. R Moshe Feinstein also wrote that even though Meikkar haDin swimming would be permitted in a pool in the private domain, since the minhag has been not to immerse in water completely on Shabbat for pleasure, it is now forbidden to swim on Shabbat even if one were to swim without clothing which would obviate the problem of squeezing out water from the garment (Iggrot Moshe Even haEzer 2:13). After considering these issues, I conclude that according to both Askenazic and Sephardic analyses, there is no fundamental prohibition against swimming on Shabbat meikkar haDin. According to R Ovadiah, furthermore, there is a difference between bathing and swimming, so that even immersing oneself in a river or lake, without kicking and splashing, would be permitted. To me, that comes very close to the Talmudic language of one immersing oneself merely to cool off, i.e., immersion in water on Shabbat simple as an act of pleasure (Beitza 18a). Furthermore, swimming in a pool with a “lip” in a private domain, obviates the Rabbinic problem of swimming in rivers. At the same time, R Ovadiah concludes that it is best not to swim or immerse oneself in water on Shabbat. I believe that he says this not because he is concerned about Rabbinic violations. However, I believe that he admonishes against swimming because the decision to swim on Shabbat does not reflect an attitude of yirat shamayim, awe and respect for the sanctity of the day. In Ashkenazic tradition also there is no foundational prohibition against immersing oneself in water on Shabbat. However, since the 14th century the minhag in all of northern, western and eastern Europe has been not to immerse in water for pleasure on Shabbat. Since that remains a deeply embedded legal norm, the secondary concerns of squeezing water from garments and hair, and laundering are weightier. My final judgment, however, must also take into account the meaning of the question itself, and weigh that in today’s world together with the halakhic traditions I have described. Raising the question of swimming for pleasure on Shabbat points to a more profound concern. It is a question about “What is my relationship to communal norms, to the authority of halakha as it has been mediated in practice over generations?” This question is about the fissure in tradition and the heart-felt, emotional, and meaningful quest on the part of many young people to find a model for exercising their autonomy while feeling that they are living within the tradition at the same time. From that perspective, we live in a time of crisis, in which the meaning and values of living with a religious tradition are challenged. Increasing numbers of young people find some of the norms and traditions of Jewish life to be uncompromising. On the other hand, the general hegemony of autonomy and emphasis on the individual over the community, prevents this generation from cultivating a deep appreciation and attitude of yirat shamayim, the awe of Heaven, and the sense that we Jews build communal lives that nourish a sense of purpose that transcends any one individual. This question of swimming for pleasure on Shabbat does not resonate with the same intensity as, for example, the foundational requirement of belief in Torah miSinai, or the struggles and challenges of inclusion by members of the LGBTQ community. Nevertheless, this question is symptomatic to me, in its own, small way, of the post-modern conflicts surrounding the authority of tradition and the way many young people feel about halakha and its potential for structuring a religious life of meaning. With these deeper thoughts in mind, and in an effort to make Shabbat observance and a general commitment to halakha more inviting, I would advocate for a balanced position regarding swimming on Shabbat. Swimming is forbidden by force of minhag for Ashkenazim, and discouraged as a matter of communal practice for Sephardim. This conclusion reflects an accurate reading of the sources. This question is, at the same time, a profoundly modern one; if the asker were content with the reasoning of the sources alone, there is not much to discuss. Therefore, I suggest the following: Since the matter of swimming underscores communal practice, it is appropriate to offer two different conclusions reflecting Ashkenazic and Sephardic traditions. As a matter of Ashkenazi halakha, based on the minhag going back to the 14th century, swimming is forbidden on Shabbat. However, given that this is based on a minhag and not mi’ikar ha’din, under special circumstances a posek may rule to permit it, especially if one works to address the concerns of squeezing, carrying, etc. Rabbi Dov Lerea has been a professional educator for the past 35 years. Rabbi Dov served for many years as the Dean of Judaic Studies of the Abraham Joshua Heschel School in New York, and as the Director of Education at Camp Yavneh in Northwood, New Hampshire. 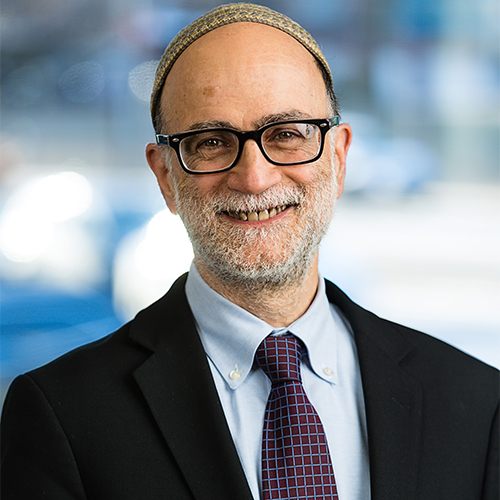 Rabbi Dov has also served as the Director of Secondary Education at Boston Hebrew College, a faculty member at the Drisha Institute for Jewish Education, and a faculty member for the Wexner Heritage Foundation. Most recently, Rabbi Dov was the Director of KIVUNIM, an innovative gap-year program located in Jerusalem. Rabbi Dov has an AB from Brown University in Religious Studies, an MA and Rabbinic degree from the Jewish Theological Seminary, a Rabbinic degree from the Rabbi Isaac Elchanan Theological Seminary, an MA in Learning and Teaching from the Harvard Graduate School of Education, and an Ed.D. from the Davidson Graduate School of Jewish Education at JTS.